Today I'll review the newly launched Perfect Lighting Waterproof Primer by Nelf Cosmetics. As we all know, even the most fabulous cooking with the wrong base spices can fall totally flat. Consider Nelf’s Primer the equivalent of this for your skin. This satiny lightweight primer will instantly revive dull looking skin and boost radiance. It’s the ultimate accessory that will make your skin look naturally gorgeous! Take out a small blob of primer on the palm of your hand and dot the primer section by section on the face.Start by dotting on the forehead then cheeks, chin, nose and upper neck.Apply to face with fingertips or a makeup sponge to even out the skin tones. Wait a few seconds for the primer to dry before applying foundation. Cyclomethicone, Squalane, Phenyl Dimethicone, Tocopherol, Propylparaben. The primer is offered in pump dispenser made of glass. The translucent bottle lets you see the product from outside. The top press-on portion is black in color and has tiny nozzle. A transparent cap covers the bottle upto its neck. The easy-to-use dispenser lets you take out controlled quantity for each usage and avoids any wastage. The bottle is packed in cardboard box that has price, ingredients details printed on it. I expected the bottle also to have the information labeled on it as well as we cannot keep the outer box forever..
Why to use a face primer? As the weather heats up, the need of water proof or sweat proof beauty products rises too; so that the makeup we put on stays longer in place. 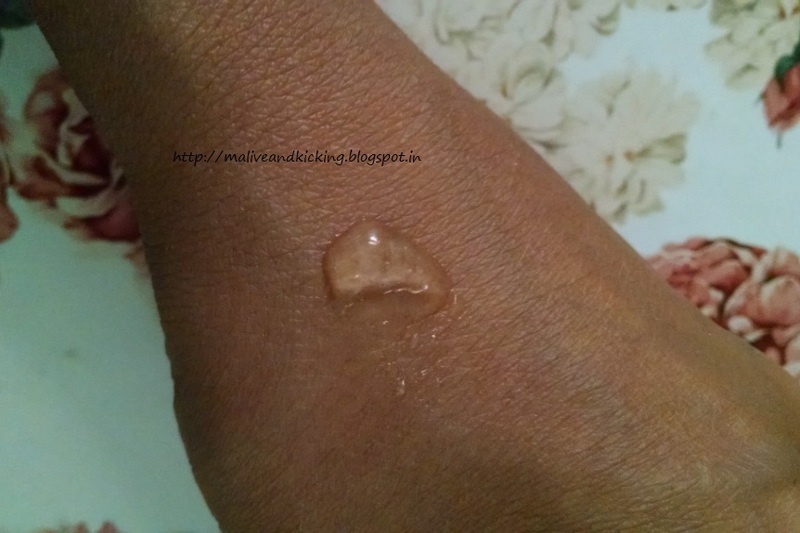 One of the beauty product that most women overlook in their makeup routine is a face primer that can actually do the needful. Infact, I also did the same for many years and had a misconception that the effects of primer can only be reaped by oily skin people. So before I review this product today, I would like to mention here that a face primer is basically a light lotion to be applied before any another cosmetic on face to improve coverage and longevity of the cosmetic we use and all skin types stand to benefit in some way when applied. 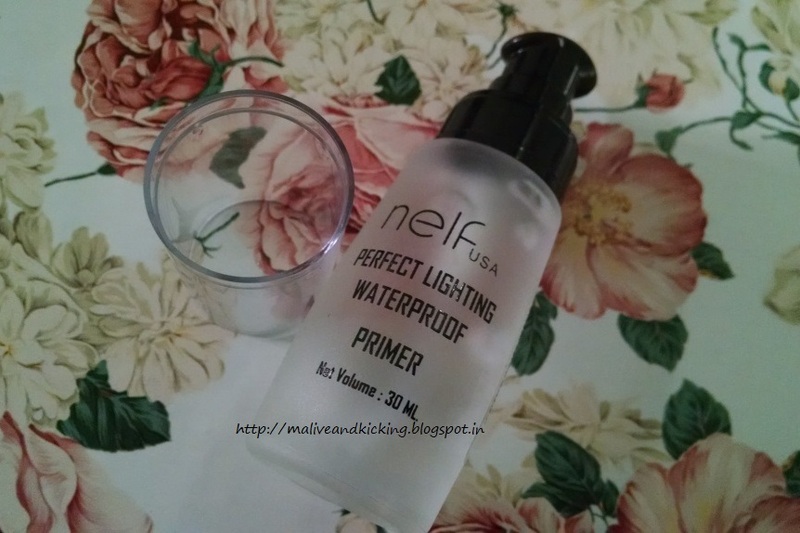 The Nelf's primer is a clear gel with no color of its own. The viscosity of the gel is medium to high. I dab just a small amount of this invisible gel prior to any makeup on my face and use my fingers to blend it evenly. It feels absolutely weightless, non-greasy and doesn’t clog the pores. It transforms my face into a smooth, flawless canvas to work upon. The primer contains bit of silicone which is great to keep the skin fresh-looking. The primer magically absorbs excess oil (if any) and mattifies the skin. It reduces the appearance of large pores to some extent and gives your skin just the right texture. If you expect the primer to color-correct your complexion, it may disappoint you because this is a neutral, non-tinted primer. 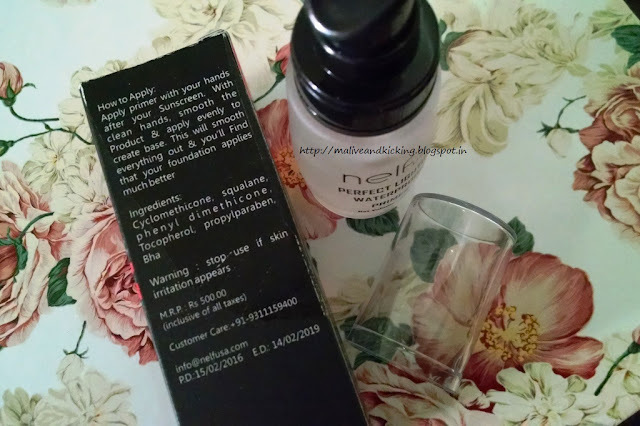 But for me, it turned out to be an added benefit, because when the foundation was applied over the layer of primer, it got so easy to effortlessly blend the foundation on a slippery facial base without any decoloration of foundation in any way.. 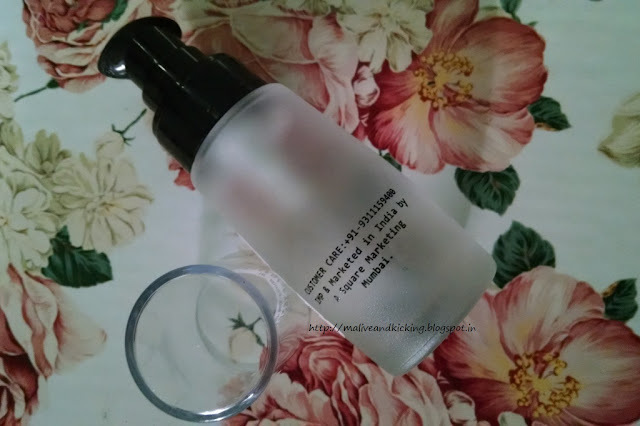 Though my skin is not allergy or acne prone, but the primer caused me no irritation. 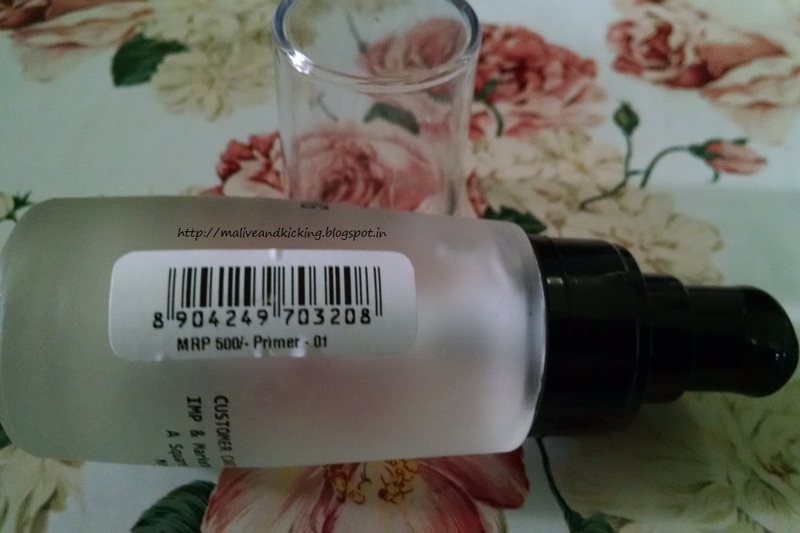 I'm positively continuing using this primer that can hold my makeup with a nice pearly finish. 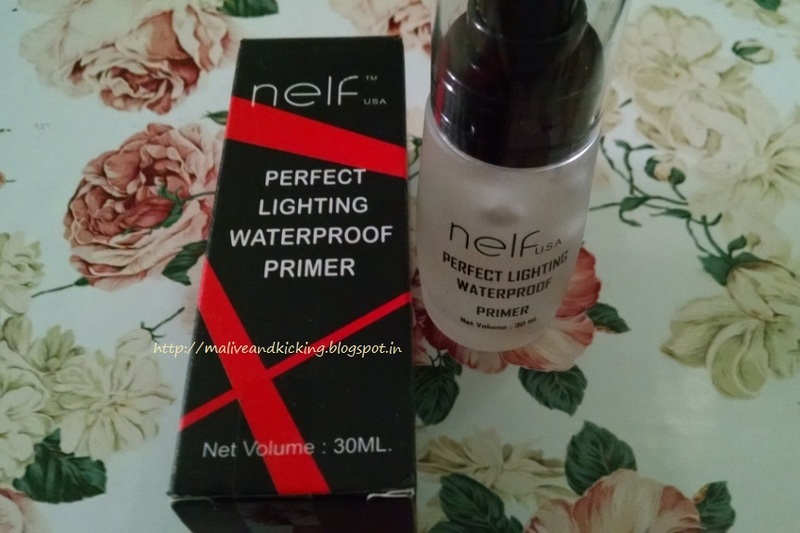 The only thing that I wished to have is a small dose of SPF in this primer to make it an ideal makeup specially for hotter weather. In all, Nelf's face primer is a great holding agent for your makeup to stay put for good number of hours, refine your skin texture with matte effect and prevent fading your gorgeous makeup look. Thanks a lot. Tried a few of their products and quite liked them. This sounds like a good primer. I like the price point a lot. It actually gave a desired flawless skin to prep for makeup. Very nice & detailed review.